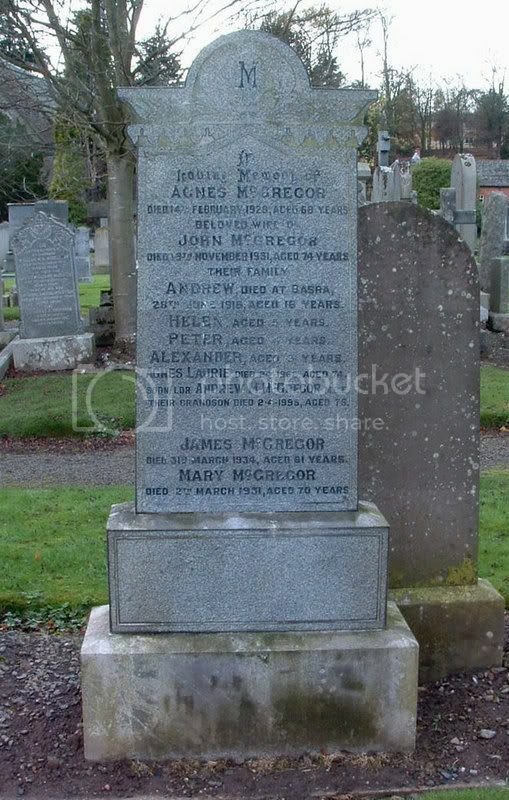 Additional information:	Son of the late William and Jean McEwen, of Stirling; husband of Ada Payton McEwen, of 105, Lower Bridge St., Stirling. Grave/Memorial Reference:	IV. B. 12. 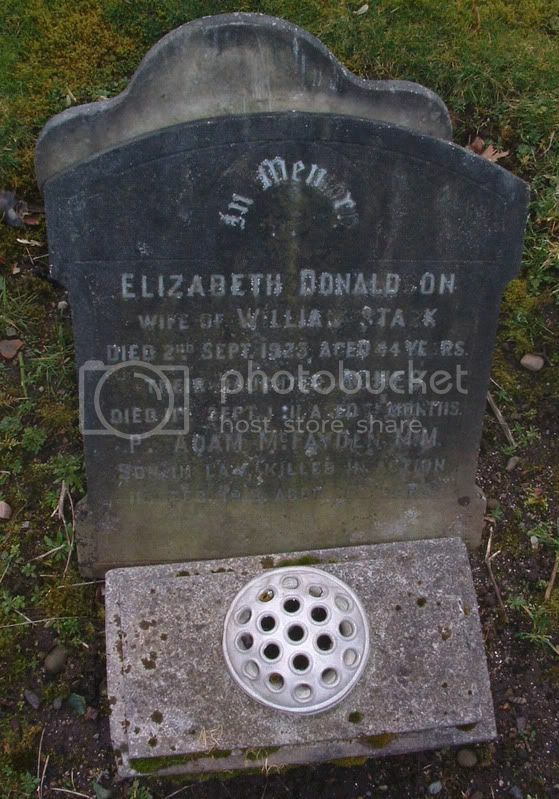 Additional information:	Husband of Elizabeth McFadyen (nee Stark) of 24, Main Street, Menstrie, Clackmannanshire. Grave/Memorial Reference:	XIV. A. 5. 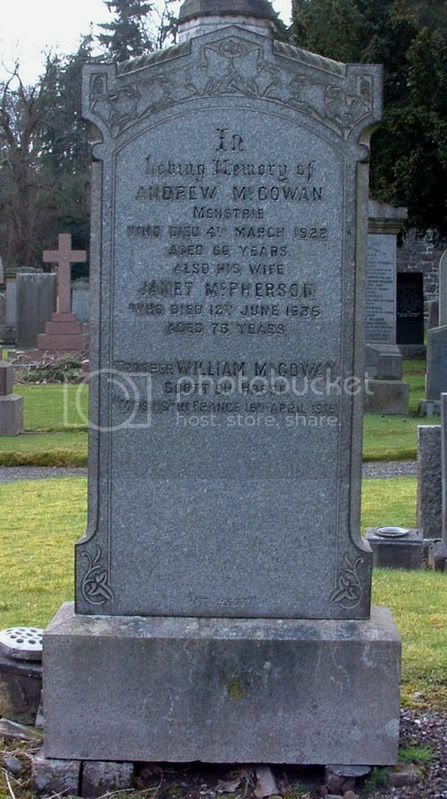 Additional information:	Son of Andrew and Janet McGowan (nee McPherson) of 39, Long Row, Menstrie, Clackmannanshire. Grave/Memorial Reference:	III. I. 8. Grave/Memorial Reference:	Panel 25 and 63. 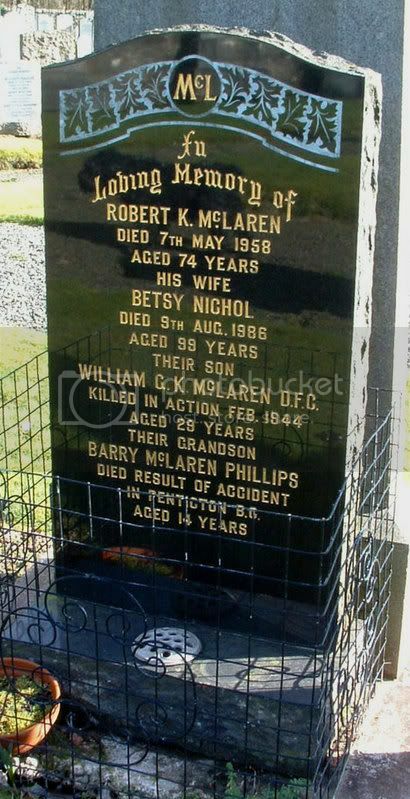 Additional information:	Son of Robert and Betsy McLaren (nee Nichol). 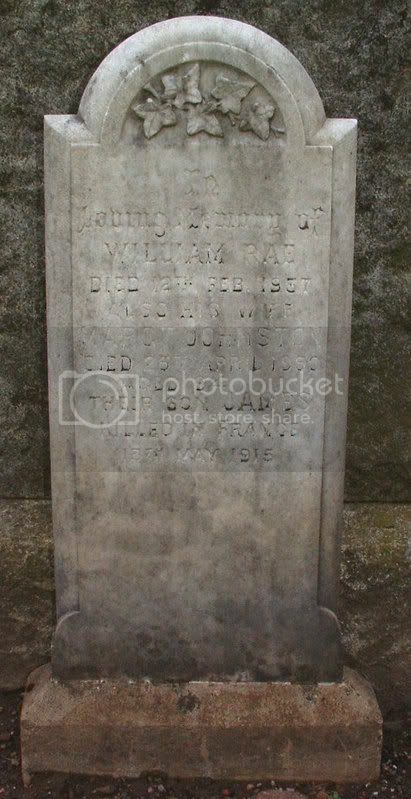 Husband of Rosa McLaren, of Barwell, Leicestershire. 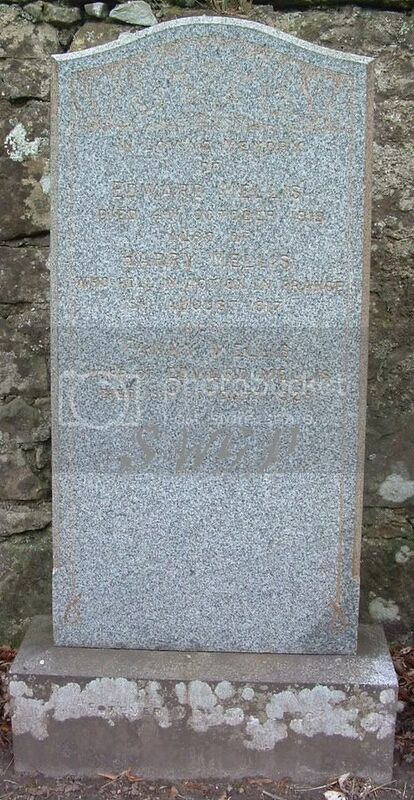 Grave/Memorial Reference:	2. N. 10. Additional information:	Son of John & Janet McMillan (nee Hunter) of 46, Mar Place, Alloa, Clackmannanshire. Grave/Memorial Reference:	III. C. 18. Grave/Memorial Reference:	III. B. 11. Unit Text:	266th Siege Bty. 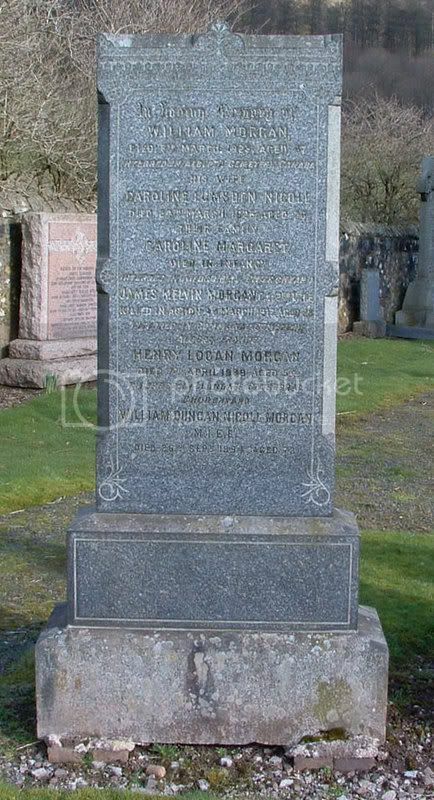 Additional information:	Son of Edward and Fanny Mellis, of 3, Coneyhill Rd., Bridge of Allan, Stirlingshire. Grave/Memorial Reference:	I. A. 7. Unit Text:	2nd (Labour) Bn. 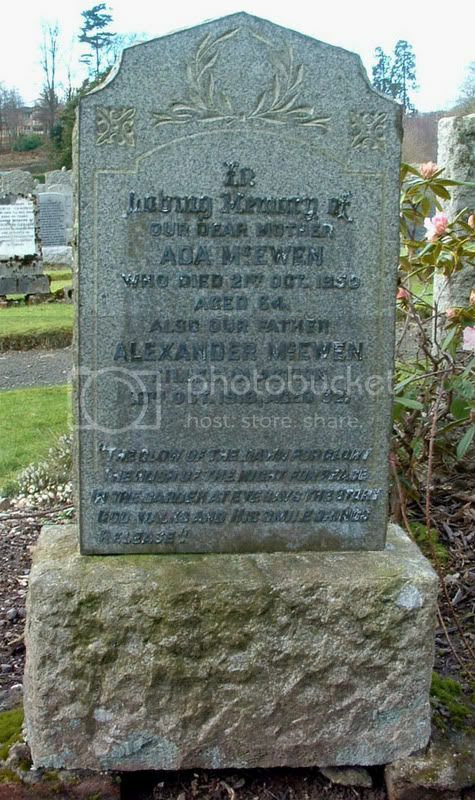 Additional information:	Son of William and Caroline Lumsden Morgan (nee Nicoll), of Abbeyview, Causewayhead, Stirling. 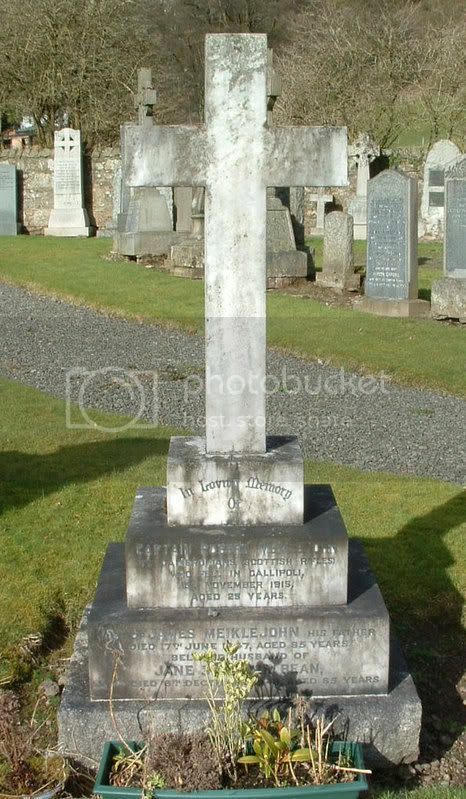 Grave/Memorial Reference:	I. R. 49. 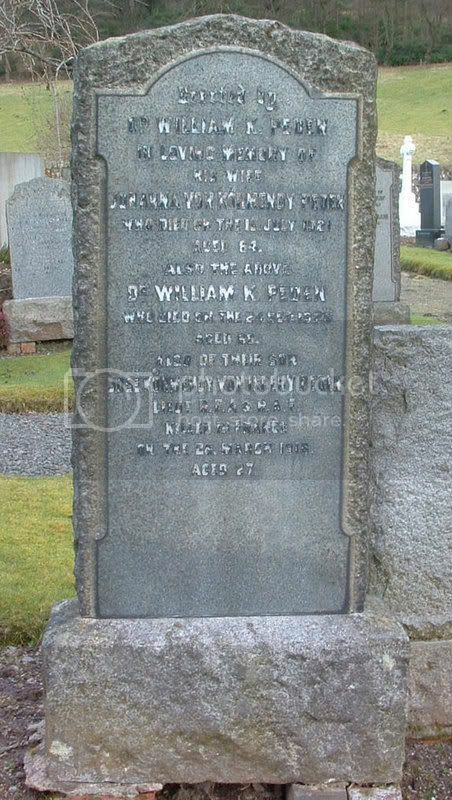 Additional information: Son of William Kerr Peden and Johanna Von Kormendy Peden, his wife, of 55, Queen Mary Avenue, Glasgow. 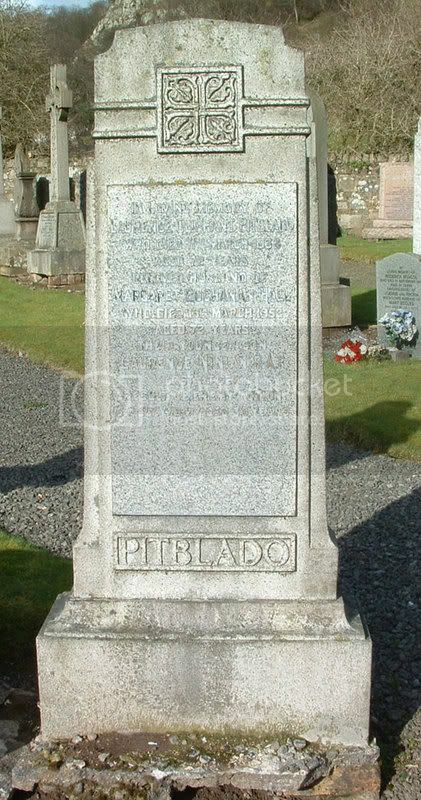 Additional information:	Son of Laurence Oliphant & Margaret Buchanan Pitblado (nee Hall) of Stirling. 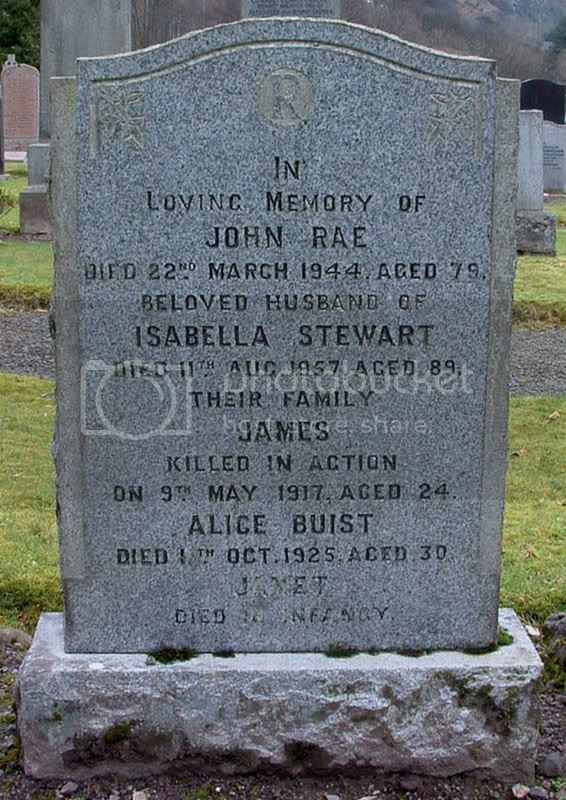 Additional information:	Son of John and Isabella Rae (nee Stewart) of Allan Park Crescent, Bridge of Allan. 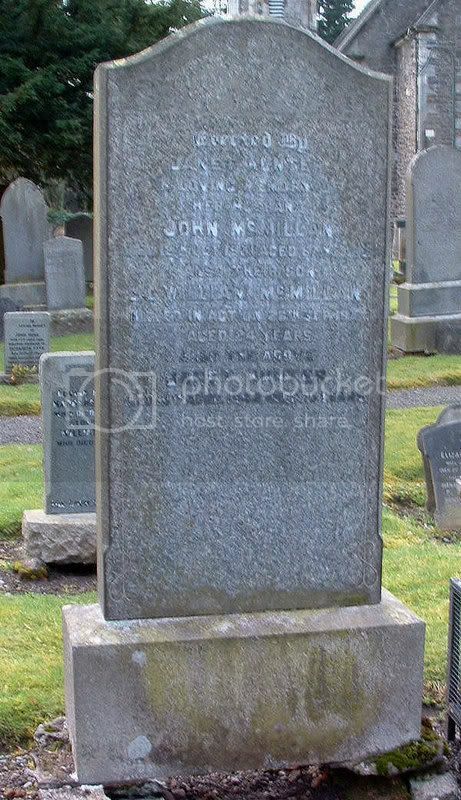 Additional information:	Son of William and Margaret Rae (nee Johnston), of 31, Avenue Park, Bridge of Allan, Stirlingshire. 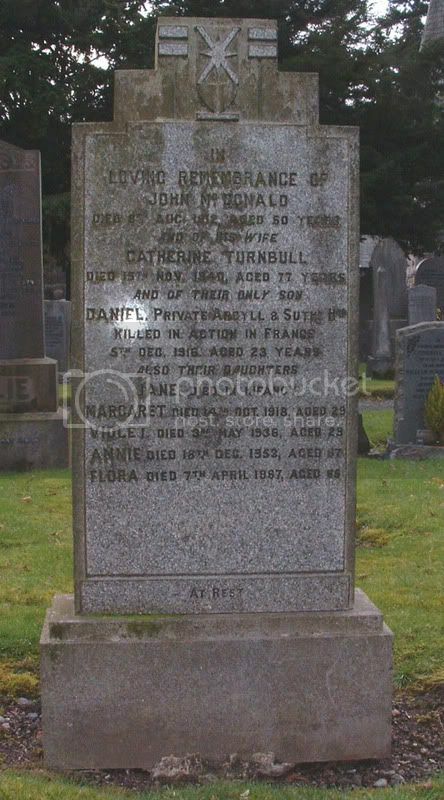 Native of Dunblane, Perthshire. Grave/Memorial Reference:	VIII. C. 32. 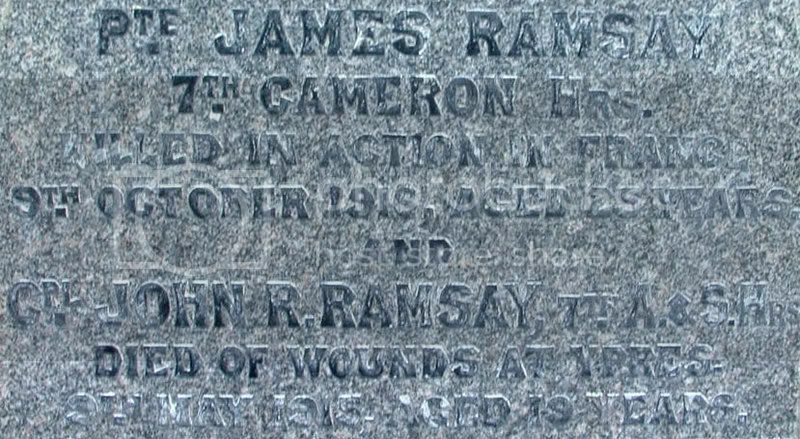 Additional information:	Son of John and Annie Ramsay (nee Robertson), of 7, Inverallan Buildings, Bridge-of-Allan, Stirlingshire. 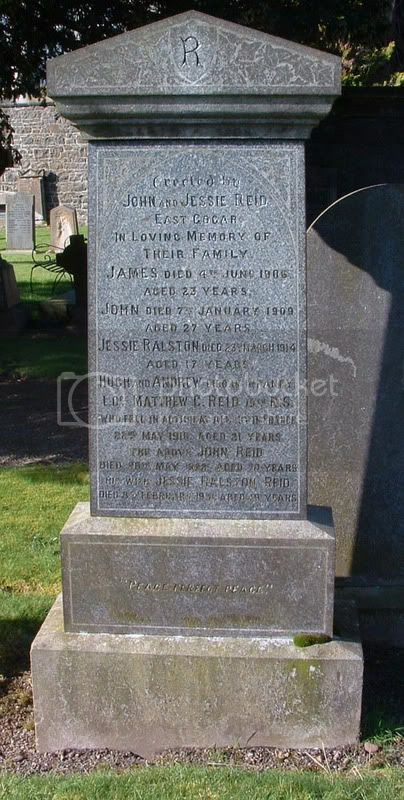 Additional information:	Son of John and Annie Ramsay (nee Robertson), of 7, Inverallan Buildings, Bridge of Allan, Stirlingshire. Grave/Memorial Reference:	IV. D. 27. 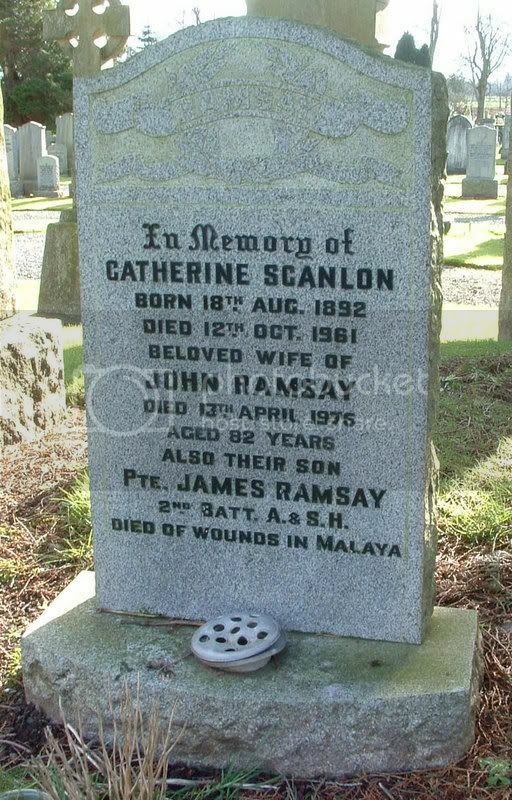 Additional information:	Son of John and Catherine Ramsay (nee Scanlon) of Causewayhead, Stirlingshire. Grave/Memorial Reference:	13. B. 8. 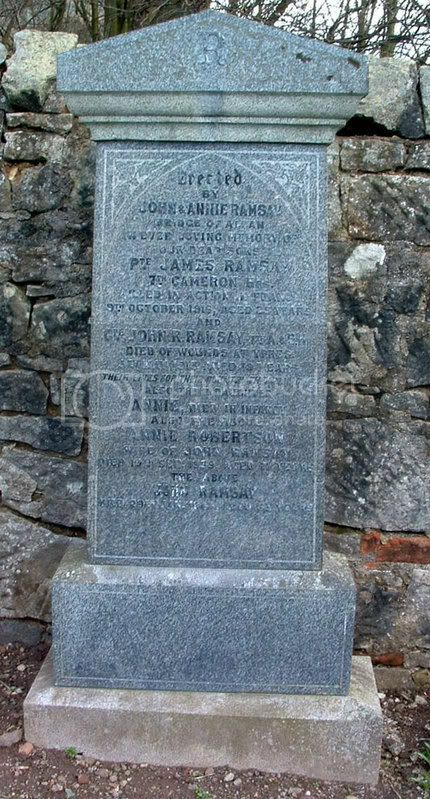 Additional information:	Son of John and Janet [Jessie] Cordiner Reid (nee Ralston) of Gigha, Argyll, and later East Gogar, Blairlogie, Stirling. A Student at Edinburgh University. Grave/Memorial Reference:	I. M. 5.